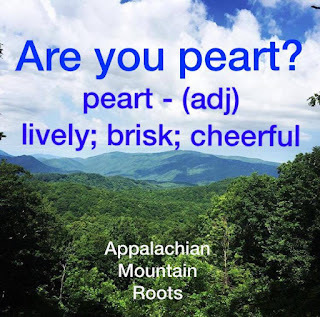 Appalachian Mountain Roots: Phrases Of Appalachia: Are you peart? Peart is a word that I've heard for most of my life. When I was younger I asked my Granny what it meant and she said, "I don't directly know the real definition of it but I use it when I'm meaning to ask if you're feeling well and happy." Granny asked me if I was peart today and I didn't waste a second when giving her my answer. I'm getting ready to spend my fifth night, back to back, in the hospital. Chronic pancreatitis is the opposite of peart. 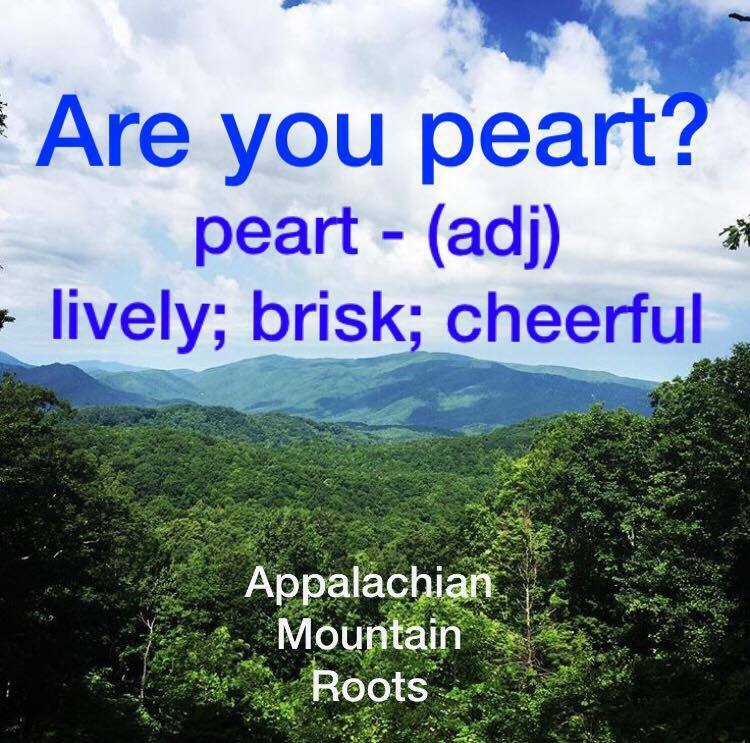 Have you ever heard anyone use "peart"? Does it fit how you're feeling this Saturday?